Sand Thermo-Perch Medium 13" x 1.25" x 1.25"
Cold is a major contributor to health problems for exotic birds, and providing warmth is the first step that avian experts and veterinarians turn to. Thermostatically controlled, Thermo?Perch provides a safe, consistent source of warmth, stabilizing the bird's environment. 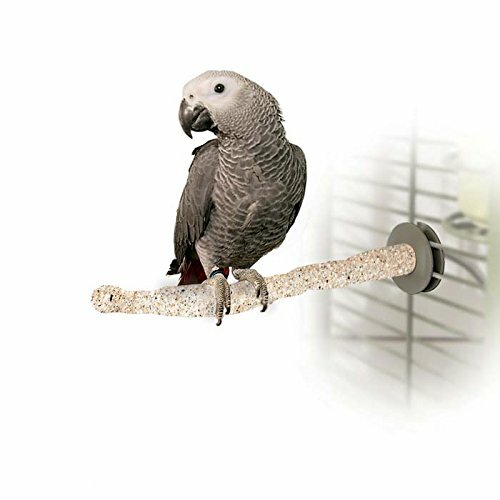 Made of sturdy scratch and bite resistant plastic, Thermo?Perch attaches easily to wire cages. Its irregular shape reduces foot cramps and pressure sores, providing orthopedic benefits. 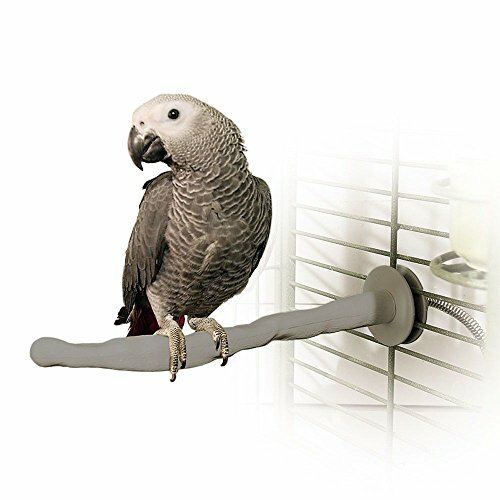 Features: Protect exotic birds from the harmful effects of air conditioning and cold drafts. Thermostatically controlled to an optimum body temperature. Made of sturdy scratch and bite resistant non-toxic plastic. 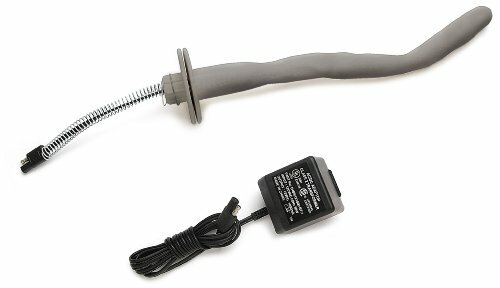 Uses harmless, 12-volt, low voltage electricity to heat the perch. Safe, consistent source of warmth, stabilizes the bird's environment. Reduces avian stress. Attaches easily to wire cages. Irregular shape reduces foot cramping and pressure sores. Available in three sizes. 1 year warranty; Thermo-Perch Medium 13" x 1.25" x 1.25"